A rural Saline county family is still waiting to move back home a year after a rare October tornado touched down. A year ago today, October 6th 2016, a couple of autumn tornadoes touched down with little warning in rural Saline County and damaged a couple of homes. 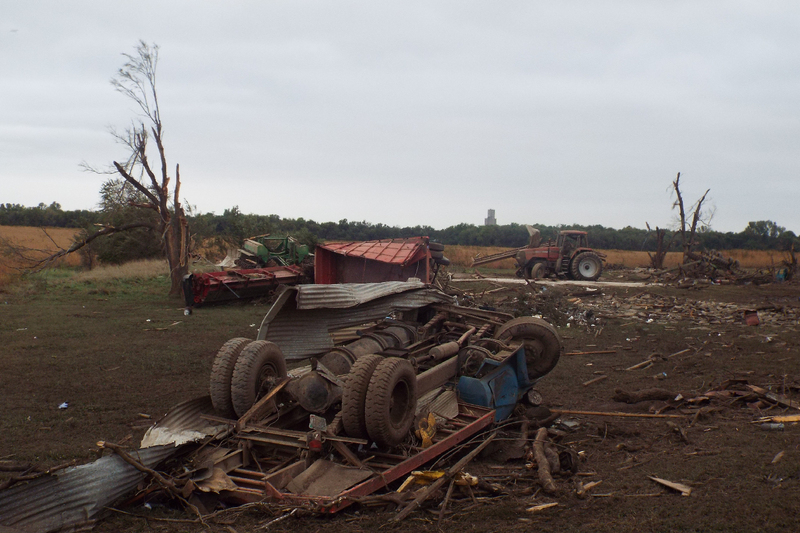 One home was totally destroyed, one was badly damaged, and farm implements and machinery were tossed like toys as a metal machine shed was also destroyed. Lisa McDowell’s home, just off Whitmore Road, was totally destroyed. Nothing was left but the foundation. No one was home, except her dog, when the tornado struck. The dog who was in a kennel that flew through the air and was thrown into a pole, miraculously survived. The National Weather Service rated the tornado as an EF-3, with a peak wind of 140 miles per hour. A year later McDowell is still waiting to move back into a new home that is being built on the property. She hopes to be moved in by the end of the month. 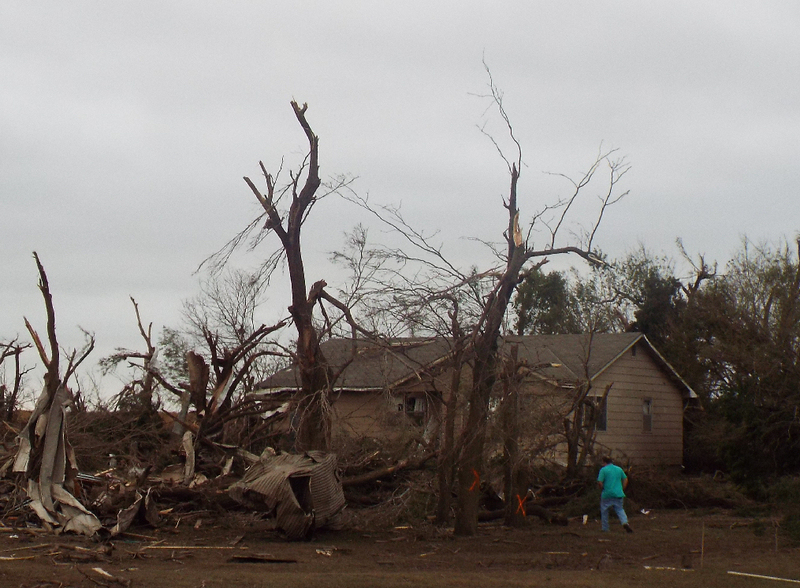 The Donald and Helen Lund farmstead, located on east Magnolia, was also hit by the tornado. The home was uninhabited at the time. 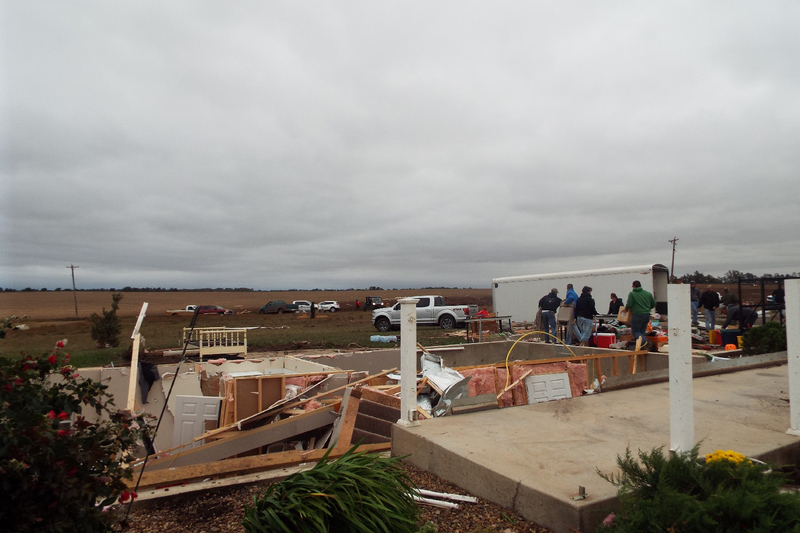 The twister tore through a machine shed on the property, and badly damaged the home. Farm equipment and implements including tractors and a combine where thrown hundreds of yards into a field. 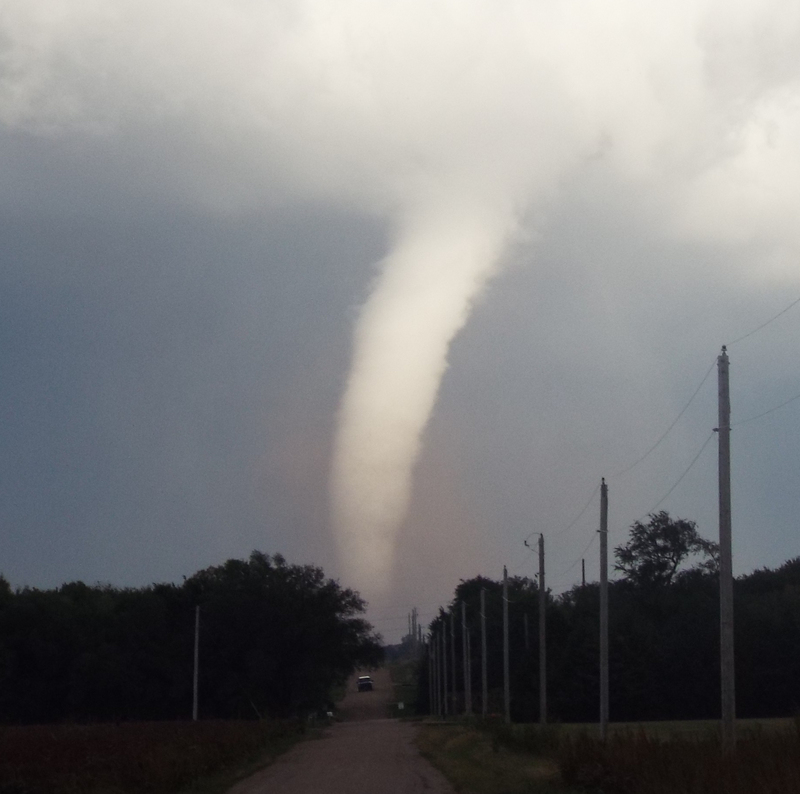 The National Weather Service rated this tornado as an EF-2, with a peak wind of 112 miles per hour. The tornadoes also brought down numerous power lines throughout eastern Saline County and into Dickinson County. While the October Saline County tornado event was rare, it was not unprecedented. According to the National Weather Service, severe weather and tornadoes are possible any time of the year in Kansas.